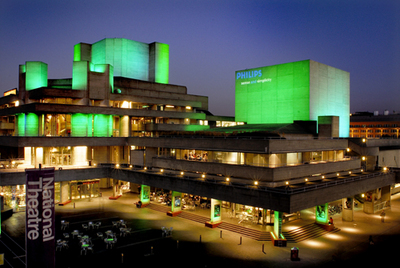 I did not find the backstage tour of the National Theatre particularly fascinating. It just struck me as a lot of inside baseball about producing plays; perhaps if I knew more about the nitty-gritty of theatre, I would have enjoyed it more. But as we walked through the facility, something slowly began to hit me: there is nothing remotely comparable to this venue back in the States. On top of it being spectacularly massive, the NT also receives substantial subsidies from the national government. I’m not sure if I’m willing to make the blanket statement that Britain is more willing to spend taxpayer dollars on fine arts, as the NEA at home is a great, strongly funded institution. There can be no question however, that when it comes to the particular art of theatre, Britain has a certain national pride in the craft that leads to much stronger support for it. We’ve heard from both Rick Fisher and John The Tour Guide that the Globe is a silly endeavor, with Mr. Fisher going as far to call it “fake Shakespeare.” That said, it was undeniably cool to lean on the stage and pretend to myself for a minute that Shakespeare’s company performed in a similar setting in the same place. And there was an element of the Elizabethan audience (infamous for its rowdiness) as the Nalgene bottle full of wine belonging to the gentleman standing next to us slowly was emptied as Falstaff’s nefarious plot was uncovered. By the time “So Merrily” was performed at the end, our neighbor was literally punching the stage as he thought he was tapping in time with the song. So while I didn’t enjoy the play as much as that guy, I had a good time at the Globe. 39 Steps was my least favorite of the three plays, but I still enjoyed it. The number one takeaway for me was that British humor is simply different. I found the play funny on the whole; that said, there were multiple moments where I did not laugh at all and the Brits in the audience were rolling on the floor. I’m not sure that most would agree that the NEA is strongly funded. It is exceptionally tiny compared to UK funding, especially on a per capita or per artistic venue basis. 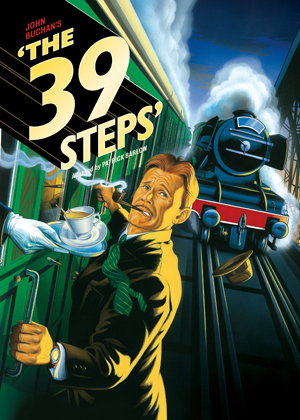 It would be interesting for you to see if 39 Steps is funnier 3 months from now when some of the jokes might make more sense to you.